Artificial trees need some shaping to get the most realistic look. 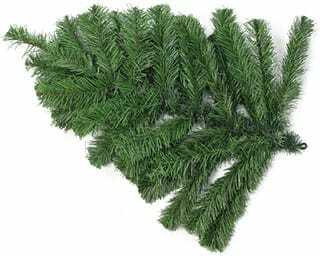 Below are a few easy steps to follow to have your tree looking like the real thing. Before shaping your tree, make sure that you place your tree stand in its desired location, as it will be more difficult to move once set up. Trees vary, but if your tree comes in different sections, place the bottom section in first and follow the steps below. Once you finish shaping those branches, move on to the next row until you’ve reached the top. If you ordered a pre-lit tree, plug it in to make sure all the lights are working and fix any unlit bulbs with the replacement bulbs included. Fan the branches out away from the center of the branch parallel to the floor. Start lifting most of the branches at different angles. Begin randomizing the individual branches. For most of our trees, the majority of the branches should tilt upward. Make sure each branch is at a slightly different angle that the branches around it for the fullest look possible. For even more realism, bend a couple branches down. The branches at the top of the tree should be evenly spaced and pointing almost straight up to the ceiling. If you’re decorating a tall tree, you can shape the top section before you put in on the base so you don’t have to shape it on a ladder later on. See our safety guide for other ways to stay safe while decorating for the holiday season. For reference, it’s a good idea to keep a photo of your tree. 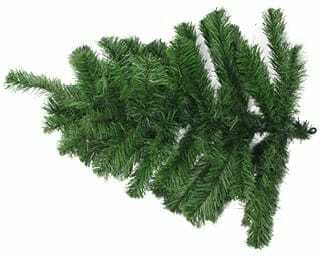 Most Christmas trees are designed to be upswept, but some are meant to have a downswept appearance. Step back and look at your tree throughout the shaping process to make sure it's shaped uniformly and appears natural. Adjust branches to fill in any gaps you see.